Discuss about the Reduction of Food Waste Generation. The hospitality industry has voluntarily taken consideration of their ethical behavior and recognized the importance for its improvement. Different kinds of hospitality management programs are effective in fulfilling the needs by implementing formal ethical instruction and observing the change in ethical behavior. It is an important part of the hotel industry to influence the growth and development of better ethical decision- making. To overcome the needs and issues in the hospitality industry for personal and career development, it is important to define the ethical standard of the specific sector. As it is numerous billion dollar industry, therefore it relies on the accessibility of spare time and non-refundable income. This specific industry is responsible for providing a wide range of career options. The employees in the industry need to possess certain skills to work in this industry. These skills and qualities are those that the managers look for while recruiting and the customers while visiting the hotel or restaurant (Nachmias & Walmsley, 2015). Customer satisfaction is of utmost importance in the hospitality industry and an employee is expected to show his total commitment in achieving that. Maintaining proper business ethics is a significant criterion for personal and career development in the hospitality industry and it might need to walk an extra mile for customer satisfaction and repeat business. Most of the people in the hospitality face the issues of ethical dilemma regularly. Moreover, exciting as well as difficult ethical issues affects the specific sector. Therefore, ethical decision- making and behavior is considered a major area in the hospitality sector. It is a problem, which has engulfed all the companies world- wide. This particular research has focused on the previous works done on the similar topic and the areas not addressed, were identified. This study will further look into the methods and design adopted for conducting the research work (Jin-zhao & Jing, 2009). From this article, it can be analyzed that the three factors of career advancement, control and variety and relationships are very important for high internal consistency in the hospitality industry. Initially 1000 hospitality employees were surveyed and later it was distributed online among 9000 employees in the similar sector. The data that was collected focused on the relation of control and variety factor with that of job satisfaction. In the hospitality industry, these factors helped in evaluating job satisfaction as these factors are significant for sustenance in the hospitality industry (McPhail, Patiar, Herington, Creed, & Davidson, 2015). On the other hand, this study was aimed at finding the impact of workplace relationship in the success of building hotel career. It contradicted the content of the previous article, which mentioned about job satisfaction. However, in this particular article the effects of professional strata, department and recognition were identified for the outcome. The findings have focused on the partial association of workplace guanxi with that of competency and success in career. It is implied in this article that coworker guanxi is significant for the non- managerial employees. However, manager- subordinate guanxi has a strong effect on the career advancement for sales and marketing employees. The local employees have an added advantage instead of the expatriates for capitalizing on guanxi (Yang & Lau, 2015). This study has contradicted the authority of mentoring functions on job satisfaction, job attitude, role stress and turnover intention in the hotel industry. The data were collected from those hospitality employees who were part of a mentoring program in South Korea hotels. It was found out from this article that the mentoring activity has three key functions of psychosocial support, career development and role modeling. There was no significant relationship between the function of career development and role ambiguity, or role modeling and role ambiguity, or role ambiguity and turnover intention. The results paved the way for a better comprehension of the effects of mentoring programs in the hotel industry (Kim, Im, & Hwang, 2015). It was mentioned in this particular study about the increasing recognition of the significance of combining revenue management in the hospitality industry with the operational activities and the importance of the staff to do the same. It was found out from the data collected for this survey that the managers face lot of challenges in the internal and external environment. However, the role of the managers was not mentioned in the other three articles. Therefore, it was expected from the staff to possess varied knowledge, skills and abilities or KSA for overcoming the problems. The findings of this study have focused challenges faced by the revenue managers and the ways in which KSA will be effective to overcome the problems (Cetin, Demirçiftçi, & Bilgihan, 2016). This study was aimed at the evaluation of talent management, work- life balance and the retention strategies faced in the hospitality industry. The authors stated that the framework used in the data analysis, incorporated attributes of the organization as well as the industry, personal employee dimensions, conflict at the workplace and the strategies used. It helped in evaluating the relation between job satisfaction, organizational commitment and employee retention and their ways of improvement. The findings focused on the importance of work life balance in addressing the issues related to management and retention of employees (Deery & Jago, 2015). This particular study on the hotel industry focused on the important factor of work engagement of the employees. The aim of the author was to find out the effect psychological capital on career, job and life satisfaction with the mediation of work engagement. The data was collected from the front-line employees of the 5 star and 4 star international hotels of Romania. The relationship in the conceptual model was highlighted through structural equation modeling. The identified indicators of psychological capital were hope, confidence, flexibility and self- efficacy (Karatepe & Karadas, 2015). However, this study has countered the previous study by comprehending the way in which potential hospitality graduates deal with the career decision- making task. The survey was conducted among 28 undergraduate hospitality students. The data that was analyzed had shed light on the challenging character of career decisions within the modifying labor market. This study has enabled the main participants to speak up for them in the transition of education- to- work. This study is centered on the moral dynamics of empathy in the hospitality settings. This specific topic was not discussed in any other previous article mentioned here. It was recommended that in the ethical environment the hotel employees would be concerned about pain and suffering of the fellow employees. They will be encouraged to show sympathy towards the other employees in their pain and distress (Zoghbi-Manrique-de-Lara & Guerra-Baez, 2016). This particular article was similar to the previous one as it highlighted the ethical concerns of the hospitality industry. The employees and practitioners at the hospitality industry consider ethics as the most important issue experienced in the hotel industry. However, it is contradicted that the industry is open to consistent unethical practices. The staffs of the industry have faced different ethical dilemmas in their routine activities with the clients. From this article, it can be evaluated that it is important to increase awareness and knowledge on the importance of this issue (Knani, 2014). The writer of this paper provided a self- reflective view of the modifications and trends in the hospitality research. Unlike the previous research articles, the findings of the paper have stressed on the commoditization of hospitality research, which is influenced by the greater changes. The new challenges in the hospitality industry in the form of globalization, is also a major issue (Ryan, 2015). This article has debated the content of the other articles by highlighting the ignorance of the workforce in policy engagement and planning for sustainable tourism. The stable role of private and government sector in policy engagement is a major area of interest. The strategic planning is done relative to development of product, infrastructure, human resource capacity and marketing. The focus is increasing the impact on sustainable goals within this process. The study has addressed the major role of employees and their work by adhering to the concepts of sustainability and sustainable communities. Moreover, this paper has also implemented modern approaches through probable sustainability indicators including both theoretical and practical policy formation value in association with workforce (Baum, 2018). The writers stated in this article that it is a critical part for the hospitality sector to generate sustainable leadership by reanalyzing the skills and competencies of the managers and leaders on a regular basis. The specific paper has aimed at identifying and scrutinizing the competencies needed for the key position of a hotel manager in order to create a holistic and related leadership competency framework. The findings have focused on the leadership competency model for the hospitality sector. The testing of the proposed model could have played the role of a plan for the similar sector to develop own competency framework (Bharwani & Talib, 2017). This study has stressed on the combined effect of competency and career related to the students of hospitality management. The perceptions of the students were investigated regarding the strategies and skills of career planning and recognized the important differences evolving from the work experience, which made it different from the other articles. The university students were surveyed to find out that, students who were nearly graduating, had work experience and attended career events. This was effective in providing a new dimension to the research topic. They also had a better plan for their future and possessed better skills than those who lacked any fixed career plan (Hertzman, Moreo, & Wiener, 2015). This article has argued on the establishment of a better understanding of the determinants among the hospitality employees. This is because in this study, the links were connected among motivation among the employees, environmental concerns, self- efficacy and others. It was indicated that autonomous motivation was related to the increase of environmental concern among the employees (Kim, Kim, Han, & Holland, 2016). The writers of this paper have carried out an evaluation of hospitality and tourism education study to measure if any scholar has been able to address the current issues in the hospitality and tourism sector. It was also aimed at increasing the awareness of the significant sources of knowledge by indulging the educationist in human capital. The purpose behind carrying out this research was to integrate and analyze facts on the education of hospitality and tourism in the last ten years and recommend future directions. Article review from 13 journals related to hospitality and tourism focused on assuring objectivity and creativity. Five unique meta- themes came out while analyzing data and the observations were done on the ground of learning, teaching, student development, programs and curriculums. Moreover, the themes that required special attention were also identified in the course of this research (Hsu, Xiao, & Chen, 2017). The review of the previous literature has focused on certain gaps, which can be used as a scope for further research. The articles have only focused on the qualitative data rather than quantitative data. The number of sample and the methods used for data analysis was not clarified. The previous researchers have not used any case study for putting authenticity in the research work. Moreover, the geographical location of the research was not mentioned in the articles. The research design was not stated clearly in the research, which became a drawback on the part of the researcher. The ethical limitations were also not mentioned. These were the major factors, which created a gap in the literature review. For further research on this topic, the researcher will need to be careful of these factors and conduct his study to overcome these gaps (Jones, Hillier, & Comfort, 2016). What are the important factors of internal consistency in the hospitality industry? How do skills and competencies of a hotel manager help in sustaining leadership? How do ethical climate in the hospitality industry influence employee compassion? There are three types of research methods such as qualitative, quantitative and mixed. For the particular research on finding the needs and issues in the hospitality sector, the mixed method was used. In this research method, both qualitative and quantitative data are collected, analyzed and combined for effectiveness of the research. This method is effective in carrying out a research because it uses various ways to explore the problem. Mixed method was used in this research because it provided easy steps to explain and report the problem. It is also useful in designing an instrument to generalize the qualitative data and thus, the research can be placed in a transformative framework (Zaitseva, Goncharova, & Androsenko, 2016). There are different types of designs used in the research process such as descriptive, co- relational, experimental, semi- experimental, review and meta- analytic. For this particular research on the needs and issues in the hospitality industry, descriptive research design can be considered appropriate based on secondary data collection. The descriptive research design is used by the researcher to describe specific behavior based on its occurrence. The categories of questions used in the research determine the type of method that is used in the research. This particular research design has the capability to represent the participants in a proper way and the data can be collected using the methods of observation, case study and survey. However, descriptive research design has a low condition for an internal legitimacy. In this specific research, the hotel employees were observed, surveyed and their instances were used for studying about the need and issues in the hospitality industry (Fraj, Matute, & Melero, 2015). The use of case study method includes a detailed study of the participants. Case study helps in making a hypothesis before the research and using different phenomenon as case. There is no cause and effect found in the case study method, as there is a meager chance of making correct predictions. However, there are drawbacks of using this method, as there might be hidden biases in the course of the research. For instance, if the hotel employees are studied using the case study method then they might be biased in giving valid information. This biasness might misinterpret the description provided by the participant. The disadvantage of using the case study method lies in weak generalization of the topic, which will go astray from authenticity (Brown, Thomas, & Bosselman, 2015). The questionnaire used in the survey for gathering information is an effective way to gather detailed feedback from the respondents. Close- ended questions in the questionnaire are easy for in- depth analysis of the issue pertaining to the research. Mostly investigative questions are used in the questionnaire to gather data. The respondents can be surveyed with the help of personal interview, mail questionnaire and telephonic interview. With an effective personal interview, instant responses can be obtained. For instance, in the hotel the employees were asked about the issues they were facing, in a face- to- face interview. They provided honest opinion in the absence of any third person such as the manager. The respondents feel comfortable in a personal interview and therefore the rate of response is higher in this case and detailed information is extracted from the participants (Lee, Back, & Chan, 2015). In a face- to- face interview the chances of not responding is negligible. The samples in the survey can be controlled and dealt with more effectively to get personal information. On the other hand, personal interview is time- consuming and expensive. By investing more time on one respondent restricts the time on the other. This results in misuse of time in the whole survey and affects the research outcome. There is a probability that the respondents might give biased answers under external pressure (Tuntirattanasoontorn, 2018). Mail questionnaire also has certain advantages such as competence in time and cost with wide variation in geographical locations. It also helps in protecting the anonymity of the respondent. However, there is a huge chance of getting low or negligible response from the respondents. There is also a risk of getting incomplete answers, which makes it unsuitable for impulsive response. For instance, in the hotel industry if the employees are surveyed using mail questionnaire then they might feel reluctant to provide correct information, which will be a drawback in the survey. In telephone questionnaire, there is efficiency in cost and time with wide spread geographical location. It also helps in securing the anonymity of the respondents and thus, spontaneous responses can be collected. Telephone is such a device, which is possessed by all the employees in the hotel industry and it is easily to reach them via telephone. It is effective in reaching the target sample more than other methods of survey. However, there are disadvantages of conducting a telephonic interview, as visual aid cannot be used (Molina-Azorín, Tarí, Pereira-Moliner, López-Gamero, & Pertusa-Ortega, 2015). Therefore, complex questions cannot be used in a telephonic interview. For instance, in a telephonic interview conducted with a hotel employee, the respondent was unable to follow a long and complicated question and the answer was hampered in that way. The observation method is used in the research where the behavior of the respondents are carefully observed and studied. The participants are studied in their natural environment and data is collected based on their behavior. It is time consuming and there is no assurance that valid data can be gathered. Other methods of research are considered to be less time- consuming and cheaper than observation. There is no direct contact with the observer and the subject, who is being observed. The observer has a clear knowledge of the behavioral patterns that he is going to observe in his subject. However, this method is not effective in the survey among the hotel employees, as it will not gather valid data. It will be a limitation of the research if the observation method is used in finding the needs and issues in the hospitality sector (Solnet, Kralj, & Baum, 2015). For this particular research, narrative analysis was done to evaluate the response received from the participants. It can be discussed and concluded that work ethics plays an important role in personal and career development of the hospitality industry. The review of the previous literature has focused on different aspects of the hospitality industry; however, there were certain gaps, which provided a scope for further research on the topic. Descriptive research design was used here to define the characteristics of the hospitality industry and the employees. Therefore, it became easy to gain knowledge about the characteristics of the subject by observing, surveying and using case study. There is a constant rapid increase in the hospitality industry. This industry is providing opportunities for personal and career development of several students. This particular research will look into the needs and issues in the hospitality industry by highlighting work ethics, personal and career development. Previous literature on similar topic will be reviewed to find out the work done and the issues identified. The review of the previous literature will also be able to find the gaps, which will pave the way for further research. Specific research design and methods will be selected for bringing out valid and authentic information (Shani, Uriely, Reichel, & Ginsburg, 2014). The main criterion of the hotel employees is to look out for customer satisfaction and therefore the industry needs a varied talented workforce. It will be helpful in the economic structure, market research and project handling in terms of asset management. There is much scarcity of these skills in the hospitality industry, which is responsible for the birth of serious issues. The hotel managers need to look out for such talent recruitment, which will save both time and cost. They will have to consider the importance of training the employees to prepare them as per the industrial norms. The managers will have to work on current and recent projects for seeking relevant talents as per the needs of the job (Pirani & Arafat). The global increase in the hospitality and tourism sector has led to the amendments in trends recently. The current trends in the industry have used technology to reach out to a large number of people all over the globe within a short span of time. The managers of this sector are responsible for dominating the industry on a world- wide basis. They intend to invest more for providing comfort to the customers while travelling. Therefore, it has become increasingly important for the specific industry to fulfill the needs and realize their demands in order to avoid keeping them behind the current trends. Literature reviews are secondary sources, which reflect the previous works done on a topic. It does not refer to any new or original work of a researcher. Literature review consists of scholarly papers, books, journal articles or other documents such as government data, census or other records. It forms the basis for a new research on the same topic. For this particular research on the ‘Needs and Issues in Hospitality: Work Ethics, Personal and Career Development’, fifteen relevant articles will be reviewed to find out about the previous work. The review of the literature will find out the issues of this topic and the ways adopted for resolution. Tourism industry will also be considered as both of this go hand- in- hand. The needs and wants of the customers will be compared in association with the service provided by the hospitality employees. The chosen fifteen articles will address the issue of the research and the gap will be found out in the literature review. The literature was selected based on different themes such as job satisfaction, workplace relationship, employee engagement in order to bring out various facets regarding needs and issues in the hospitality industry. This selected literature will be effective in finding out the relevancy of the research in terms of the hospitality industry. The literature review will be conducted by considering the specific objectives such as selecting the literature on the topic of hospitality sector and the employees (Johnson-Busbin, Busbin, Boles, & Barksdale, 2014). The selected literature will be combined into a brief summary for better understanding of the issues. The information gathered from the articles will be critically evaluated to find out the gaps in the current research. An effective literature review will also shed light on the limitations of concepts and the perceptions. The gap in the literature review will find ways for further research on the topic. The limitations of the previous work will be worked upon while conducting the new research work. Research design explains the entire strategy that is selected to combine various components of the research work in a consistent and rational way. A research design determines that the research problem is attended to properly. It consists of the outline for collecting, gauging and evaluating data. There are different types of research design such as descriptive, correlation, semi- experimental, experimental, review and meta- analytic. The research design is such a framework, which helps in seeking out the answers for the specific research questions. A research design becomes effective when it caters to the mean of obtaining information. It will help in studying the objective of the specific research problem (Aragon-Correa, Martin-Tapia, & de la Torre-Ruiz, 2015). For this research on hospitality industry, descriptive research design will be used. This research design will be able to depict the participants in a proper manner. It will be effective in describing the entire situation of the research. There are three methods used in the descriptive research design- observation, survey and case study. These three steps will be effective in gathering relevant information from the participants of the hospitality sector. This research design will use the three methods to observe the participants, conduct a survey and use their case study for finding effective outcome. It will be an effective research design in finding out the needs and issues in the specific sector by explicitly drawing the current scenario. Research methods refer to the steps taken for gathering information, organizing the samples and the process for analyzing the data. There are various methods, which depend on the topic of the research work. (Zopiatis, Constanti, & Theocharous, 2014). There are two major types of research methods such as qualitative and quantitative methods. Qualitative research methods refer to non- numerical and unquantifiable components such as emotions, words or sounds. The information collected from the research work is qualitative in nature because it does not require any mathematical techniques for analysis. On the other hand, quantitative research methods refer to the identification and evaluation of the collected data using numerical. In this method, numerical data is more stressed upon to make a summary and draw a conclusion. For this particular research on the needs and issues in the hospitality industry, mixed research method will be used. This research method considers both qualitative and quantitative data and thus, it will be effective in bringing out correct information. The hospitality employees will be interviewed and surveyed by following the mixed research method to gather valid data for the research. The information that will be gathered will not only highlight the words but also on the numerical data and statistics. It can be discussed from the research on the needs and issues in the hospitality industry that this trending sector has become the main target of workforce challenges. There are other minor challenges in the field of operating, marketing, technology and economy. The managers in the specific industry are looking for ways to be green and sustainable. They are looking for sustainable solutions to the problem faced by the industry. ‘Going green’ has come to the limelight from the nook of the industry. The 3Ps in the hospitality sector- people, planet and profits, form the basis for green industry in a financially feasible environment (Cook, Hsu, & Marqua, 2014). Labor expenses are again a major issue faced by the hospitality sector, which is responsible for 44.6% of the entire operating costs in the industry. Therefore, any issue, which could directly affect the labor costs, must be dealt with seriously by the hospitality managers. Again, the emerging issue of multicultural management in the hospitality sector is affecting the functions of the internal environment. The fast increase in globalization is directly proportional to the multicultural issues and the related impact on the specific industry. Hospitality sector is responsible for uniting people from all over the world more than any other sector. The employees are selected from different background to cater to the various needs of the customers. This has created problems among the employees to adjust to different cultural norms. Hotel industry is presently facing a tough competition in the market including a reduction in price to provide comfort to the guests. The decrease in the employment ration is considered a threat in the competitive market. Market segmentation is another issue when there is an increase in the number of brands. The ability of the consumers to distinguish among the brands decreases in this way. Not only have the customers become sophisticated but also the services and products. To maintain the luxurious demands of the customers, the cost of innovation has increased. The managers are also finding it difficult to meet the standards of the rapidly changing technologies in the market (Kandampully, Zhang, & Bilgihan, 2015). Moreover, the amount of business travel is directly proportional to economy rates of the industry. With the increase in business travel, the economy is improved and vice- versa. Globalization also affects the hospitality industry depending upon the extent to which people move in and out of the country. Therefore, it is another area, which needs to be looked after by the managers in the hospitality sector. It can be concluded from this research on the needs and issues of the hospitality industry that there are different challenges faced by the industry in the recent years. From the previous literature review, the issues were identified which played an important role in conducting this research. The articles were selected based on the topic to shed light on the previous works done by other researchers. The probable issues were identified which were worked upon and the gap was identified. The gaps in the previous literature paved the way for further scope in the research. Specific design and method were selected for the research. Descriptive research design was effective in describing the total scenario by using the steps of observation, survey and case study. Mixed method was used for the research to analyze both qualitative and quantitative data. This was helpful in bringing out authenticity and validity in the research. This is because both information and numerical data were analyzed regarding the issues in the hospitality sector. The lack of skilled and talented workforce was identified as a major area of concern along with the issues in operation, economy and technology. The tough competition in the hotel industry was brought forward in this research and the factors to be considered by the managers were highlighted. It can be recommended from the research on the specific topic that the managers need to look out for candidates who are properly trained in serving the customers. Training is an important part of employee motivation and the organization needs to consider it seriously. Moreover, the old employees should also be made to realize the importance of going through the training process. It can be suggested that training will be a first step in overcoming the issues prevalent in the hospitality industry. Aragon-Correa, J. A., Martin-Tapia, I., & de la Torre-Ruiz, J. (2015). Sustainability issues and hospitality and tourism firms’ strategies: Analytical review and future directions. International Journal of Contemporary Hospitality Management, 27(3), 498- 522. Baum, T. (2018). Sustainable human resource management as a driver in tourism policy and planning: a serious sin of omission?. Journal of Sustainable Tourism, 12(2), 1-17. Bharwani, S., & Talib, P. (2017). Competencies of hotel general managers: A conceptual framework. International Journal of Contemporary Hospitality Management, 29(1), 393-418. Brown, E. A., Thomas, N. J., & Bosselman, R. H. (2015). Are they leaving or staying: A qualitative analysis of turnover issues for Generation Y hospitality employees with a hospitality education. International Journal of Hospitality Management, , 46(2), 130- 13. Cetin, G., Demirçiftçi, T., & Bilgihan, A. (2016). Meeting revenue management challenges: Knowledge, skills and abilities. International Journal of Hospitality Management, 57(1), 132-142. Cook, R. A., Hsu, C. H., & Marqua, J. J. (2014). Tourism: the business of hospitality and travel. Boston: Pearson. Deery, M., & Jago, L. (2015). Revisiting talent management, work-life balance and retention strategies. International Journal of Contemporary Hospitality Management, 27(3), 453- 472. Fraj, E., Matute, J., & Melero, I. (2015). Environmental strategies and organizational competitiveness in the hotel industry: The role of learning and innovation as determinants of environmental success. Tourism Management, 46(5), 30- 42. Hertzman, J. L., Moreo, A. P., & Wiener, P. J. (2015). Career planning strategies and skills of hospitality management students. Journal of Human Resources in Hospitality & Tourism, 14(4), 423-443. Hsu, C. H., Xiao, H., & Chen, N. (2017). Hospitality and tourism education research from 2005 to 2014: “Is the past a prologue to the future?”. International Journal of Contemporary Hospitality Management, 29(1), 141-160. Jin-zhao, W., & Jing, W. A. (2009). Issues, challenges, and trends, that facing hospitality industry. Management science and engineering, 3(4), 53. Johnson-Busbin, J., Busbin, J. W., Boles, J. S., & Barksdale, H. C. (2014). Interfirm Structure and Buyer-Salesperson Behavior Impact on Relationship Outcomes. GSTF Journal on Business Review (GBR), 4(1). Jones, P., Hillier, D., & Comfort, D. (2016). Sustainability in the hospitality industry: Some personal reflections on corporate challenges and research agendas. International Journal of Contemporary Hospitality Management, 28(1), 36- 67. Kandampully, J., Zhang, T., & Bilgihan, A. (2015). Customer loyalty: a review and future directions with a special focus on the hospitality industry. International Journal of Contemporary Hospitality Management, 27(3), 379- 414. Karatepe, O. M., & Karadas, G. (2015). Do psychological capital and work engagement foster frontline employees’ satisfaction? A study in the hotel industry. International Journal of Contemporary Hospitality Management,, 27(6), 1254- 1278. Kim, S. H., Kim, M., Han, H. S., & Holland, S. (2016). The determinants of hospitality employees’ pro-environmental behaviors: The moderating role of generational differences. International Journal of Hospitality Management,, 52(2), 56-67. Kim, S. S., Im, J., & Hwang, J. (2015). The effects of mentoring on role stress, job attitude, and turnover intention in the hotel industry. International Journal of Hospitality Management, 48(3), 68-82. Knani, M. ,. (2014). Ethics in the hospitality industry: Review and research agenda. International Journal of Business and Management, 9(3), 1. Lee, J. S., Back, K. J., & Chan, E. S. (2015). Quality of work life and job satisfaction among frontline hotel employees: A self-determination and need satisfaction theory approach. International journal of contemporary hospitality management, 27(5), 768- 789. McPhail, R., Patiar, A., Herington, C., Creed, P., & Davidson, M. (2015). Development and initial validation of a hospitality employees’ job satisfaction index: Evidence from Australia. International Journal of Contemporary Hospitality Management, 27(8), 1814- 1838. Molina-Azorín, J. F., Tarí, J. J., Pereira-Moliner, J., López-Gamero, M. D., & Pertusa-Ortega, E. M. (2015). The effects of quality and environmental management on competitive advantage: A mixed methods study in the hotel industry. Tourism Management,, 50(2), 41- 54. Nachmias, S., & Walmsley. (2015). A Making career decisions in a changing graduate labour market: A Hospitality perspective. Journal of Hospitality, Leisure, Sport & Tourism Education, 17(1), 50- 58. Pirani, S. I., & Arafat, H. A. (n.d.). Reduction of food waste generation in the hospitality industry. Journal of cleaner production, 132(2), 129- 145. Ryan, C. (2015). Trends in hospitality management research: a personal reflection. International Journal of Contemporary Hospitality Management, 27(3), 340- 361. Shani, A., Uriely, N., Reichel, A., & Ginsburg, L. (2014). Emotional labor in the hospitality industry: The influence of contextual factors. International Journal of Hospitality Management, 37(2), 15- 158. Solnet, D., Kralj, A., & Baum, T. (2015). 360 degrees of pressure: The changing role of the HR professional in the hospitality industry. . Journal of Hospitality & Tourism Research, 39(2), 271- 292. Tuntirattanasoontorn, N. (2018). Service quality improvement in the Thai hotel industry. AU Journal of Management, 6(1), 24-37. Yang, F. X., & Lau, V. M. (2015). Does workplace guanxi matter to hotel career success? International Journal of Hospitality Management, 47(1), 43- 53. Zaitseva, N. A., Goncharova, I. V., & Androsenko, M. E. (2016). Necessity of changes in the system of hospitality industry and tourism training in terms of import substitution. . International Journal of Economics and Financial Issues, 6(1). Zoghbi-Manrique-de-Lara, P., & Guerra-Baez, R. (2016). Exploring the influence of ethical climate on employee compassion in the hospitality industry. Journal of business ethics, 133(3), 605- 617. Zopiatis, A., Constanti, P., & Theocharous, A. L. (2014). Job involvement, commitment, satisfaction and turnover: Evidence from hotel employees in Cyprus. Tourism Management, 41(2), 129-140. 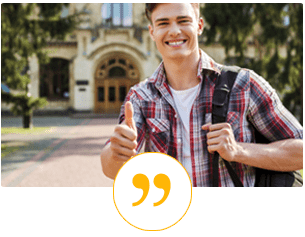 MyAssignmenthelp.co.uk is a name in assignment writing services that students trust. We offer our assignment writing services for a wide variety of assignment including essays, dissertations, case studies and more. Students can place their order with us anytime as we function 24x7, and get their copies at unbeatable prices. We guarantee that all of our solutions are plagiarism-free. MyAssigmenthelp.co.uk really nailed my assignment. They managed to deliver it on time even though I needed it in a day! I need an English essay on the Romantic Age, but I didn't have much to spend. These guys did my essay at very cheap prices without affecting quality! MyAssignmenthelp.co.uk really impressed me with the quality of the dissertation they delivered. It was absolutely flawless! I thought I would not be able to get help for my epidemiology assignment anywhere but I got that with MyAssignmenthelp.co.uk, and it was a brilliant paper. Honestly, guys, choose MyAssignmenthelp.co.uk the next time you need a paper. These people have simply the best writers in their team. I never thought I would ever get an A grade on one of my assignments, but MyAssignmenthelp.co.uk made that dream come true! I am really happy with the services I received from MyAssignmenthelp.co.uk. The paper was top notch and submitted on time. Seriously, I think it's impossible to find even a single error in the assignments provided by MyAssignmenthelp.co.uk. I've ordered several, and each of them has been flawless! I got the most amazing nursing case study I could have ever asked for! I am definitely ordering all my future assignments from here.